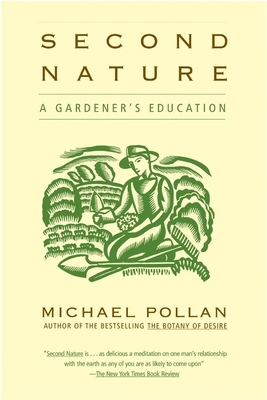 In his articles and in best-selling books such as The Botany of Desire, Michael Pollan has established himself as one of our most important and beloved writers on modern man's place in the natural world. A new literary classic, Second Nature has become a manifesto not just for gardeners but for environmentalists everywhere. As delicious a meditation on one man's relationships with the Earth as any you are likely to come upon (The New York Times Book Review), Second Nature captures the rhythms of our everyday engagement with the outdoors in all its glory and exasperation. With chapters ranging from a reconsideration of the Great American Lawn, a dispatch from one man's war with a woodchuck, to an essay about the sexual politics of roses, Pollan has created a passionate and eloquent argument for reconceiving our relationship with nature.